NetSuite is pleased to announce Version 2019.1 of its products group. Most organizations, in particular banks and financial institutions have started adopting this for data security. In course of time, which is very soon, almost every cloud application will require this. As it this primarily impacts Administrator responsibilities, it is good to prepare in advance to get the best benefit of NetSuite 2019.1. 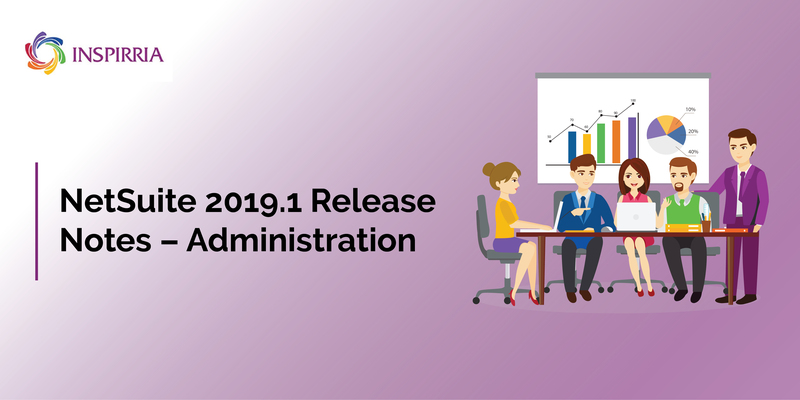 New features in the NetSuite 2019.1 – Administration are many. If you have used a Release Preview account in the last release, you will automatically receive a 2019.1 Release Preview account. In case you have not there is an opt-in procedure which has been introduced to help you request a preview of the upcoming release. If you are not yet required to use two-factor authentication (2FA) for Admin and other highly privileged roles, you will now need to switch to 2FA with NetSuite 2019.1 release. NetSuite began enforcing the mandatory two-factor authentication (2FA) requirement in all NetSuite accounts as of 2018.2. So, the Administrator and other highly privileged roles are designated as 2FA required, and therefore this requirement cannot be eliminated. Two-factor authentication enhances security – a requirement for all organizations which look to maintaining their client data in a highly secured manner. The Core Administration Permissions feature has been introduced in 2019.1 in order to streamline the standard administrator role. The Core Administration Permissions feature customizes a role to behave like the administrator role, while restricting access to areas of NetSuite. In other words, a role for an IT administrator can be created with access based on role needs, but with limited or no access to sensitive employee information. Mutual (Two-Way) Authentication for Outbound HTTPS is another important feature of NetSuite 2019.1. NetSuite customers, in certain countries are required to comply with government regulations which call for a two-way, authentication of HTTPS connections where both, server and client, can authenticate each other. This fully secure communication is a requirement for tax-related communications between businesses, governments or other institutions. Over 40,000 organizations run on NetSuite globally. Aligned with the onset of the New Year, NetSuite 2019.1 comes with features that not only enhance processes but also ensure high security to data access. Contact Inspirria, NetSuite's technology partner and leverage NetSuite's future ready solution.